What is a PIR Motion Sensor? A PIR motion sensor is a motion sensor that uses passive infrared (PIR) technology to detect motion. This involves looking for changes in infrared energy, and it is the most common method for detecting motion. When a PIR motion detects a change in infrared energy, it will alert the system. Every person, animal and object gives off some amount of infrared energy. When a person is in motion, it causes a change in environmental infrared energy. A PIR motion sensor is designed to detect this change in infrared energy and alert a security system to the situation. This makes a PIR motion sensor useful for determining if people are present inside a building that should be secured. But users should keep in mind that objects and small animals also give off some infrared energy. It is possible that they could set off a motion detector as well. 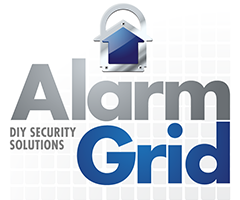 Most users will only want a motion sensor to activate because of a human intruder. Therefore, it is very important to install a motion sensor correctly. This will prevent most false alarms from occurring on the system. A motion sensor should not be mounted near vents or air ducts that may release air and cause a change in infrared energy. It's also a poor idea to mount motion sensors near ceiling fans or curtains, as their movement may set off the device as well. Installing a motion sensor facing a window is also a bad choice, since incoming sunlight could cause the device to activate. For pet owners, choosing a proper mounting location for a motion sensor is even more important. Some motion detectors offer pet-immunity for preventing false alarms caused by pets. A pet-friendly motion sensor typically has a field of view (FOV) that is designed to detect a human walking upright, while ignoring a small animal moving closer to the ground. But if the motion sensor is mounted in a poor location, or if a pet gets up high enough, then a pet will still be able to trigger the device. To prevent this from happening, there are a few general guidelines for mounting a pet-immune motion sensor. First, the device should not be facing any stairways or furniture that a pet could use to get within the FOV of the sensor. A pet-immune motion sensor should also be mounted at a height of about 7.5 feet. This will prevent a pet close to the ground from setting off the sensor, while still allowing it to detect intruders. Finally, a user may want to reduce the sensitivity for their motion to make it less susceptible to pets. This can be done by increasing the pulse count or changing the lens. Remember, after installing and programming a motion sensor, it is a good idea to perform a walk test. This will help ensure that the motion sensor is adequately picking up motion, while also not being overly sensitive. Please see the instructions specific to a particular motion sensor for more information on performing a walk test.